Protecting your business from disaster seems like an obvious strategy to reduce the risk of failure. 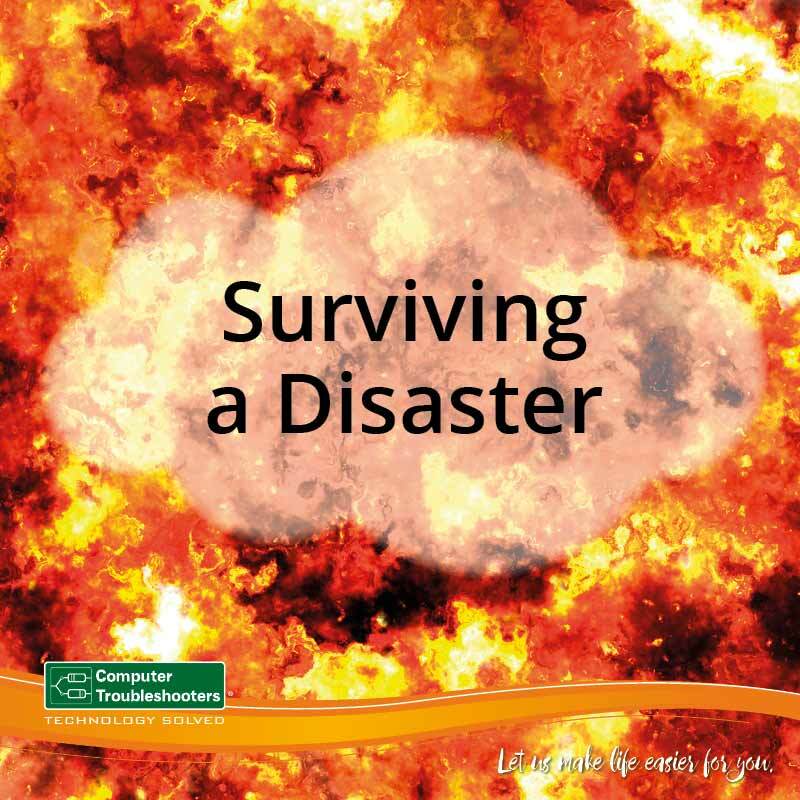 How many businesses have a Business Continuity Plan to minimise loss in the face of disaster? What are the 5 key risks to business? Natural Disaster – fire, flood, earthquake, & cyclone. Security Breach – burglary, employee theft, vandalism & cyber-attack. Equipment Failure – infrastructure failure (sprinkler systems), IT hardware failures, broadband & utility failures. Compliance Breach – privacy, data confidentiality, data retention, tax, & OHS. Operational Breakdown – data loss, product recall, & service delivery failure. Most of these risks effects on your business are predictable so you should be able to determine the correct course of action to minimize the impact an event on your business. Natural Disaster – Offsite replication of data & cloud based infrastructure. 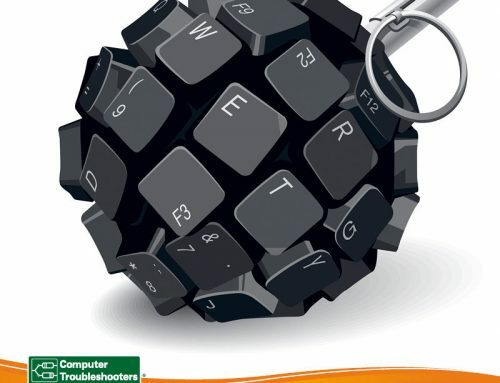 Security Breach – Unified Threat management & scheduled backup of systems & data. 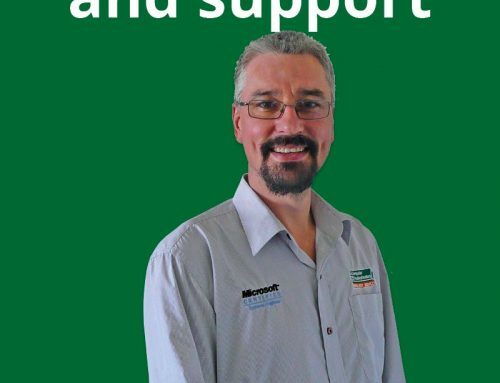 Equipment Failure – Redundancy of broadband links & standby hardware. Compliance Breach – Centrally controlled IT security polices, user access & data retention. Operational Breakdown – Standby hardware & UPS power systems. 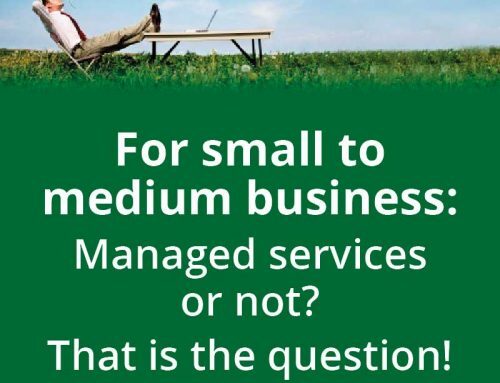 How can this be achieved in SMB Business? Many of these goals can be achieved by using off the shelf solutions & professional IT support. Most businesses have similar IT requirements and can achieve a large number of BCP goals by simply implementing an ecosystem approach like Microsoft Office 365. Office 365 is a hybrid cloud solution that provides hosted email & file storage that can means some goals such as backup, redundancy, compliance & operational control can be easily maintained in the face of a disaster. 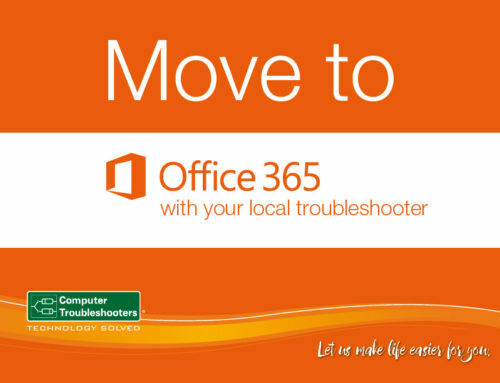 Office 365 is controlled from a remote central console so other areas such security policies, user access, and data retention can be maintained remotely by an outsourced IT specialist. Of course, some of these risks remain within your premise and need to be assessed by an experienced IT person who can make recommendations as part of your plan. These would include plans for local backups, on site essential server replication to an offsite location, local user internet protection & core business application protection & data backup. Ideally you should get an IT professional to look at your business as part of a bigger review of your operations with other experts. However just getting an IT assessment done on your business and listings their recommended solutions for to each type of risk outlined above will at a minimum will give you sense of the solutions and the time taken to recover. 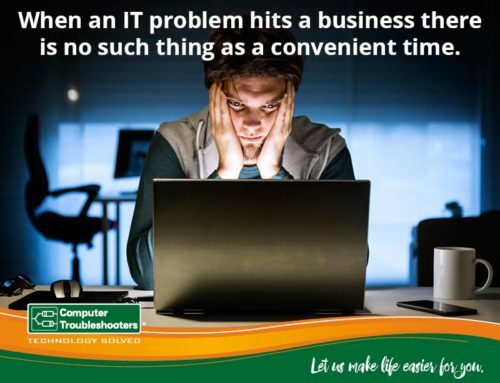 Talk to your local Computer Troubleshooters about doing an IT assessment to keep your business running smoothly if you’re suddenly without your technology.